Joseph is self-publishing a book with Outskirts Press and wants your help deciding on a book cover. 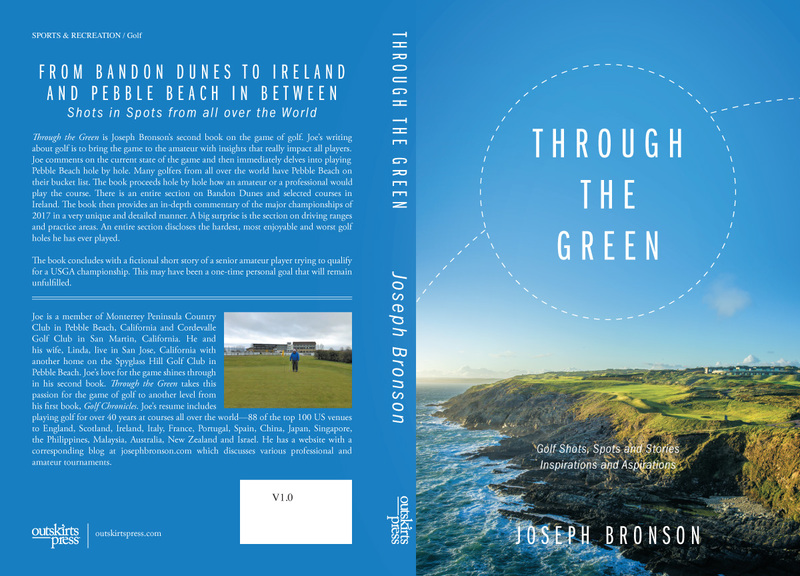 Through the Green is Joseph Bronson’s second book on the game of golf. Joe’s writing about golf is to bring the game to the amateur with insights that really impact all players. Joe comments on the current state of the game and then immediately delves into playing Pebble Beach hole by hole. Many golfers from all over the world have Pebble Beach on their bucket list. The book proceeds hole by hole how an amateur or a professional would play the course. There is an entire section on Bandon Dunes and selected courses in Ireland. The book then provides an in-depth commentary of the major championships of 2017 in a very unique and detailed manner. A big surprise is the section on driving ranges and practice areas. An entire section discloses the hardest, most enjoyable and worst golf holes he has ever played. The book concludes with a fictional short story of a senior amateur player trying to qualify for a USGA championship. This may have been a one-time personal goal that will remain unfulfilled. Joe is a member of Monterrey Peninsula Country Club in Pebble Beach, California and Cordevalle Golf Club in San Martin, California. He and his wife, Linda, live in San Jose, California with another home on the Spyglass Hill Golf Club in Pebble Beach. Joe’s love for the game shines through in his second book. 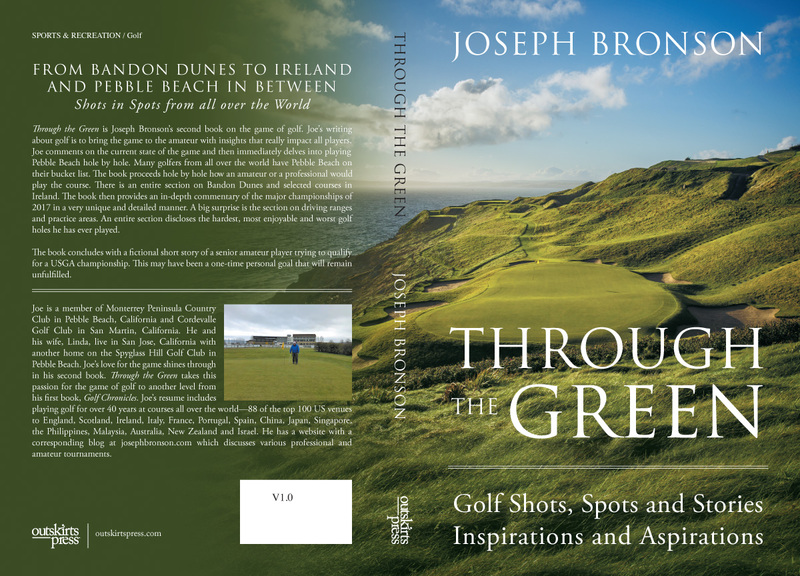 Through the Green takes this passion for the game of golf to another level from his first book, Golf Chronicles. Joe’s resume includes playing golf for over 40 years at courses all over the world—88 of the top 100 US venues to England, Scotland, Ireland, Italy, France, Portugal, Spain, China, Japan, Singapore, the Philippines, Malaysia, Australia, New Zealand and Israel. He has a website with a corresponding blog at josephbronson.com which discusses various professional and amateur tournaments. Previous Previous post: How Early Is Too Early to Prepare for Holiday Marketing?